Combine the mascarpone, 1 tbsp maple syrup and rosewater together and refrigerate until required. 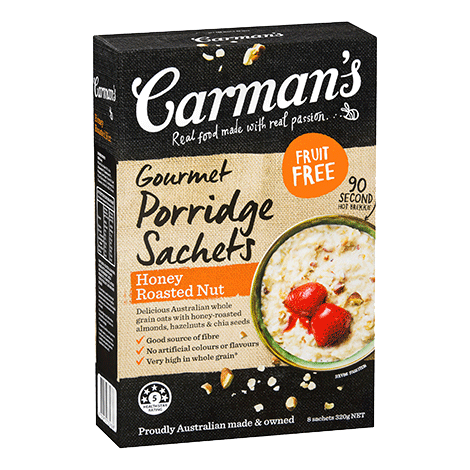 Place the Carman’s Gourmet Honey Roasted Nut Porridge in a shallow bowl and set aside. Whisk together the eggs and milk until combined and place in another shallow bowl. Dip the bread into the egg mixture and then into the porridge and turn to coat both sides. Repeat with each slice of bread. In a large frypan, melt the butter on a medium heat and fry the bread on both sides for a few minutes or until golden brown. 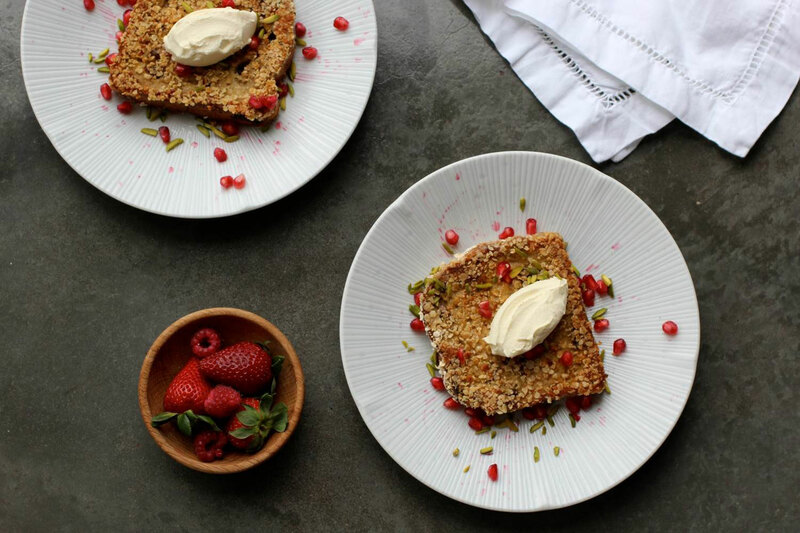 Serve immediately with the pomegranate seeds, pistachios, mascarpone and a generous drizzle of maple syrup. To prove you’re not a robot, can you tell us what’s 3 + 5 ?